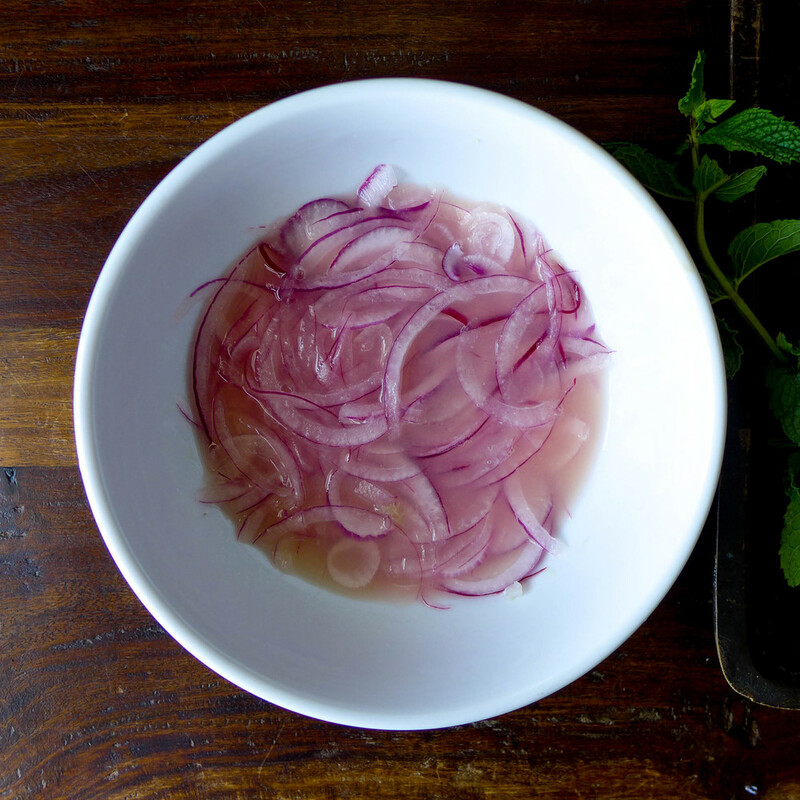 In a large non-reactive bowl (glass or ceramic), combine the onions with the lime juice. 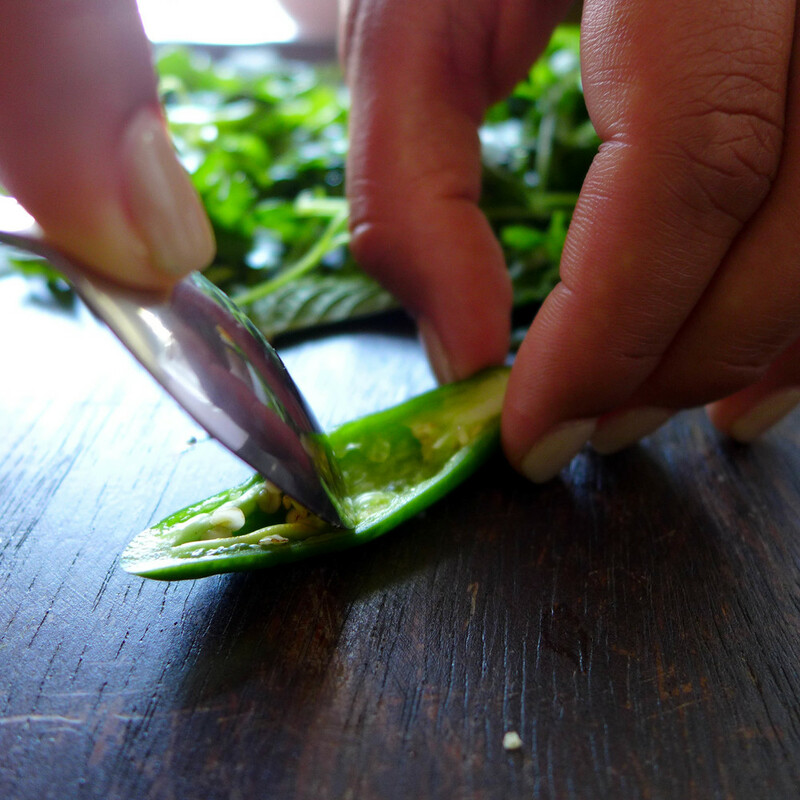 Reserve while you make the aguachile. 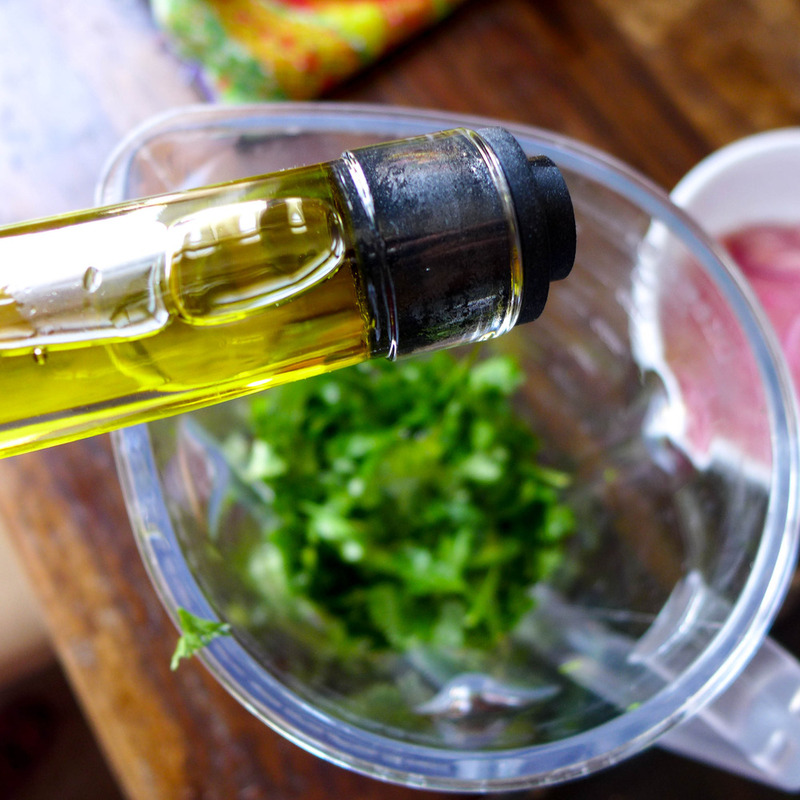 In a blender, combine the serranos, cilantro, parsley and mint, olive oil and puree until smooth. Season the aguachile with salt. 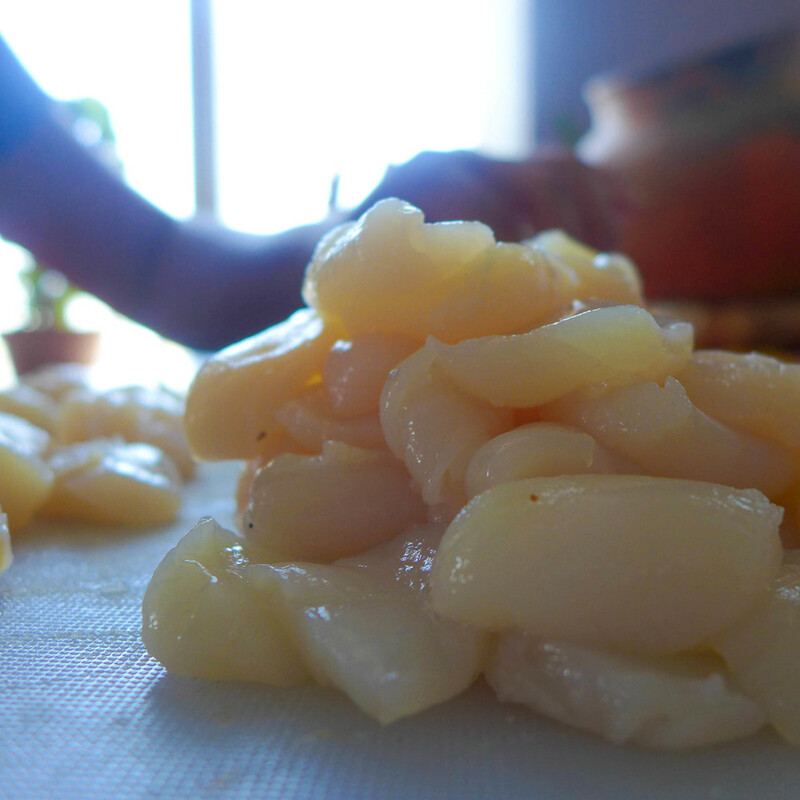 Combine scallops and cucumbers with the onions and pour the aguachile until well coated. Stir well, then season with salt and sugar to balance the acidity and flavors, cover and sit out at room temperature to allow flavors to meld together, about 30 minutes. 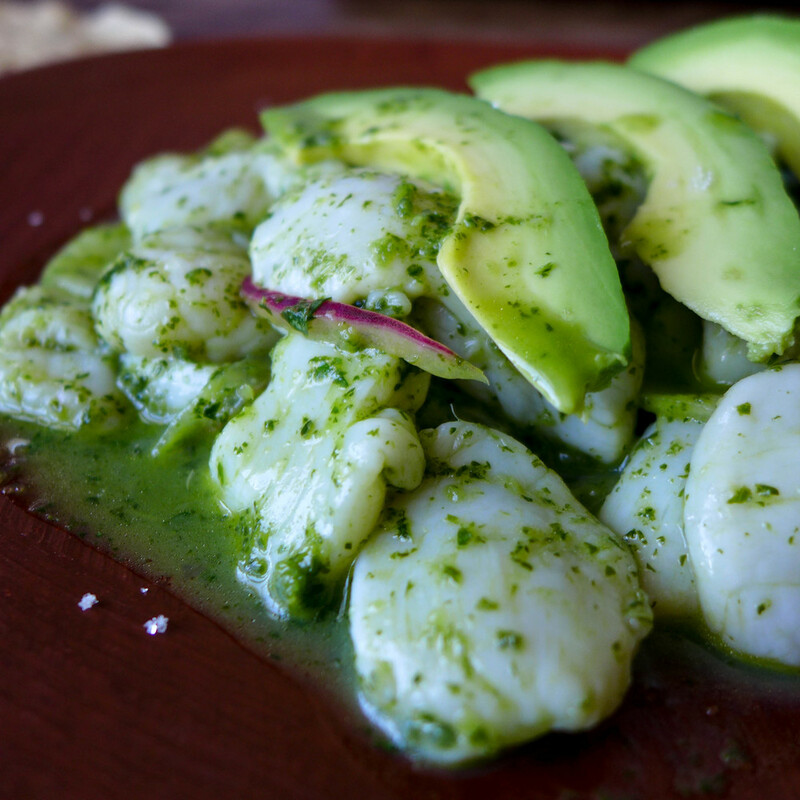 Serve the aguachile on a platter along with tostadas and avocado slices. Posted on July 10, 2014 by Bricia Lopez.